Union Minister of State for Finance and Shipping Shri Pon. 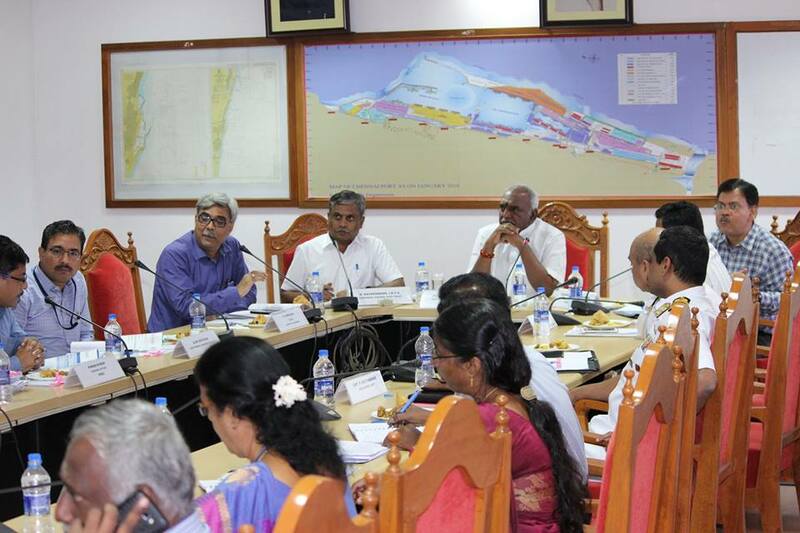 Radhakrishnan on 5 October held discussions on four-lane Elevated Link Road Project from Chennai Port to Maduravoyal at Chennai Port Premises. 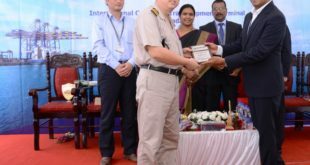 Joint Secretary (Ports), Ministry of Shipping, Chairman, Chennai Port Trust, and senior officials of NHAI, Indian Navy and Government of Tamil Nadu, consultants for the project and other concerned officers related to project were also present during the discussions. The officials from NHAI explained about the project map, road network in the project area and Chennai Port Layout. The project cost is Rs.2700 crores excluding Land Acquisition (LA) and Relief &Rehabilitation (RR). It was decided that the revised draft DPR for the project will be submitted by NHAI latest by 10 October 2018 for finalization. 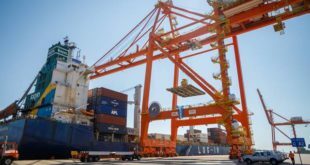 As per new IRC Manual Guidelines, the project cross section has been upgraded from 20 m to 29 m.
The contribution by Chennai Port Trust towards Land Acquisition (LA) and Relief & Rehabilitation (R&R) is 50% of the total cost of Rs.470 crores and the remaining 50% shall be borne by the State Government. In case the cost of LA and R&R exceeds, the same will be borne by the State Government. In the new alignment, the total length for the new proposal in the project is 20.3 km. Out of total 7400 m length area for clearance of slums in the project, 3400 m has been cleared. 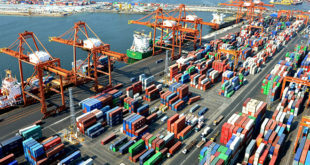 Navy and Chennai Port Trust have agreed mutually on the alignment especially at the land point in the Port. The Naval authorities have agreed to exchange their land housing their existing residential quarters with Chennai Port Trust on provision of equal extent of land in order to enable the alignment of the Elevated road pass through the existing Naval Quarters near Napier Bridge. 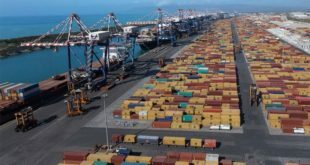 The Ministry of Shipping has also given in-principle approval to the proposal for alienation of Chennai Port Trust land to Naval Authorities in lieu of taking over the Navy land by Chennai Port. The Minister directed that the process of Land Acquisition and Relief & Rehabilitation should be completed within the timelines decided in the meeting. He also said that the progress of the works in the project will be reviewed periodically in order to complete the project early. The elevated 4-lane link Road from Chennai Port to Maduravoyal is a vital connectivity to the Port for evacuation of cargo to & fro Chennai Port. Chennaites will immensely benefit once this road becomes operational as it will enormously reduce the travel time.